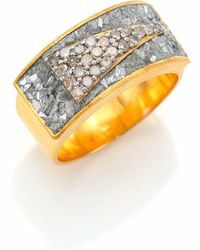 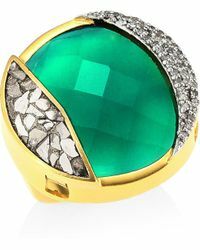 Shana Gulati designs exceptionally crafted, luxurious jewelry that mixes together both classic and contemporary style. 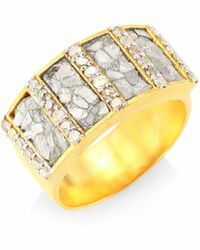 The brand draws inspiration from the designer's hometown of New York, as well as the influence of global cultures, including Shana's native India. 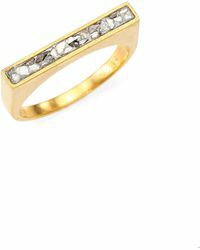 The idea is to portray femininity in all its complexity, from delicate and dazzling to tough and rock n roll. 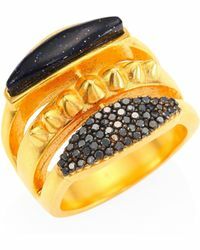 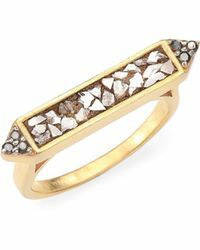 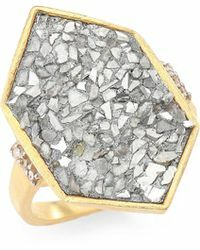 Shop the range of rings from Shana Gulati for modern lines and plenty of glittering stones.